American government: Poison gas used against foreign civilians: Attack! Against #NoDAPL Americans? Make it legal. When poison gas is used illegally against Syrian civilians, America launches a missile attack that taunts Russia, another nuclear superpower. 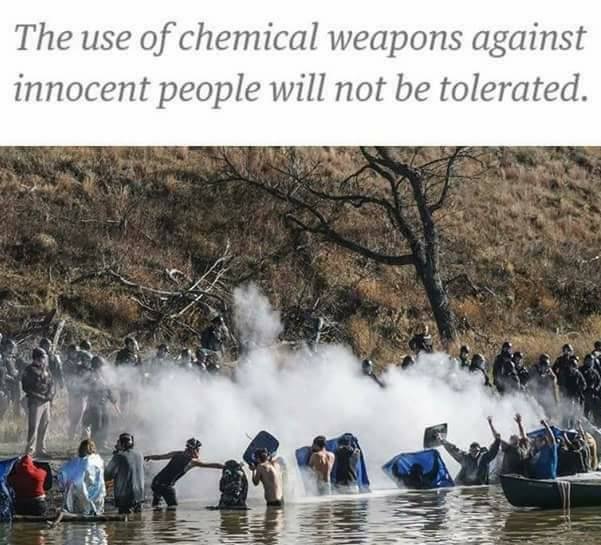 When poison gas used against #NoDAPL Americans, by officers of the peace, at the behest of oil companies, in the name of profit, America fights to make it legal. Next Post: Girl beats up boy after he bullies her. Girl faces charges, boy remains in school.